Provide comfort for the family of Patrica Steckel with a meaningful gesture of sympathy. 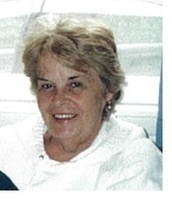 Patricia A. Steckel, 75, of East Syracuse passed away peacefully Sunday morning, December 2, 2018 surrounded by her loving family. She is predeceased by husband Joseph. Surviving are her beloved children Patty, Joseph E., Kelly (Heidi), Stacy (Frank) and Amy; 13 grandchildren; 5 great granddaughters; 3 sisters; 2 brothers; many nieces and nephews; and a host of loving friends and neighbors. Calling hours will be Friday, December 7th from 5 to 8pm at the R.H. Schepp & Son Minoa Chapel, 6530 Schepps Corners Road, Minoa. A Mass of Christian Burial will be Saturday, December 8 at 11 am at St. Matthews Church, East Syracuse. Entombment will be in St. Mary’s Cemetery, DeWitt. We encourage you to share your most beloved memories of Patrica here, so that the family and other loved ones can always see it. You can upload cherished photographs, or share your favorite stories, and can even comment on those shared by others.